Mountain States Engineering offers the OMB line of valves for the transportation and energy industries throughout the western states. 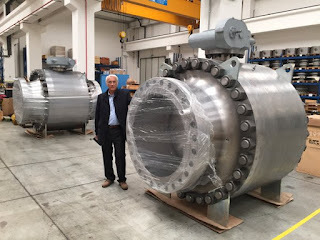 OMB has been a manufacturer of forged steel valves since 1973, starting business in Italy and establishing a presence in every major energy producing region of the world. North American operations are supported from the Stafford, Texas plant which has expanded to over 100,000 square feet. OMB manufactures globe, ball, gate, and check valves with a broad range of variants to meet diverse requirements throughout the world. The company is well known for is line of forged steel valves, but OMB also fabricates using other materials, including specialty alloys. Review the company's full product line below. Contact the valve application specialists at Mountain States Engineering for additional product information or assistance meeting any industrial or process control valve challenge. MSEC, Inc., founded in 1978, is a Manufacturer's Representative & Distributor of process equipment and controls headquartered in Golden, Colorado. We serve the markets of Colorado, New Mexico, Wyoming, Montana, Utah, Nevada, Idaho, and the western Dakotas.